We hope that you and your family had a wonderful 2016. It was certainly an eventful year for real estate and here is how the year unfolded and our outlook for 2017! 2016 was filled with highs and lows. The Spring season started off red hot as lower inventory levels ushered in multiple Buyer offers across the board and strong sale prices for Sellers. Average home prices hit their highest levels of all time in the Spring. Summer inventory however spiked to its highest level since 2012 and prices leveled off to their 2015 price points. This is where the market showed varied levels of performance with a tale of two markets. Homes under and around the million dollar mark continued to sell quickly garnering multiple offers with above list price winning bids. There was an especially heavy demand for Single Family Homes in this category. There are very few neighborhoods left with a Single Family Home for less than a million dollars, Buyers found themselves heading further south or deeper into the East Bay for these homes. Townhomes have been a property class that has performed very well over the last few years, but showed softness as their price points were hitting levels close to Single Family Homes in certain markets. Homes in the $1.5M and up range struggled against more inventory in the summer and we saw longer days on market and canceled listings. As is traditional with the seasons, inventory levels dropped in the fall and winter. Inventory continued to clear into the fall and more homes were sold, which continued into the winter months. There have been a number of investor flipped homes this fall/winter as well as a continued strong demand throughout the year for multi-residential homes. Demand remained steady this fall and winter overall. Perhaps one of the major developments are the controls around cash inflows/outflows from abroad especially from China. The crack down actually started back in January of 2015, but now both countries have shut down multiples avenues of cash inflows/outflows in order to prevent money laundering. US Banks are scrutinizing downpayments heavily which are affecting loan qualifications. In short, Buyers from this market have not been able to participate in real estate this year due to these constraints. This equated to less competition and bidding activity especially in the upper end of the market. The other major development has been the rise of interest rates. The Federal Reserve has raised rates by .25% this year and the .25% the year prior. The year started off with excellent rates in the 3.5% to 3.75% range for a 30-year fixed and we are closing the year at 4.25%. We have all been accustomed to extremely low interest rates for a very long time. It is important to take a look at the historical chart of mortgage rates to demonstrate that interest rates are still at historical lows. For those of you that have not locked in a mortgage, though you missed the absolute bottom, historically you will still do well if you locked in now. Those of you that are on an Adjustable Mortgage Rate (ARM), you may consider switching to a 30 year fixed as the Federal Reserve is signaling additional increases of .75% in 2017. It is highly likely that we may not see rates like these for quite some time. This could be the year that multiple Buyers enter the market in an effort to take advantage of these historically low interest rates. Perhaps the biggest news of 2016 is that of President elect Donald Trump. This is certainly an unpredictable presidency coming in 2017 as this is not our typical president. The stock market seems to be signaling that he will be good for business and personal finances. Real Estate is his primary industry and this alignment should be good for this sector as well. There is much uncertainty on this front as the New Year unfolds. Silicon Valley real estate is more of a primary home market rather than an investor centric one. We continue to have heavy recruiting and hiring from top Technology firms in the area. 2016 saw more Mergers and Acquisitions (M&A) activity rather than much on the Initial Public Offerings (IPO’s) side. This had an impact on housing as the lack of liquidity to Silicon Valley workers reduced Buyers abilities to garner large downpayments to purchase high priced real estate. 2017 could be the year where unicorns seek liquidity and ultimately fuel additional real estate purchases for Silicon Valley workers. 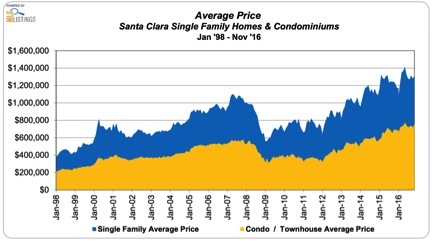 Despite all of the changes in 2016, we are expecting another strong year for Silicon Valley real estate overall. The higher price points maybe dependent on the performance of stocks and infusion of IPO’s that could possibly occur in 2017. The big question for Sellers is how long can prices continue to climb as the last 7 years have continued to show price appreciation. With interest rates rising, this has a direct impact on affordability. For Buyers do you take advantage of still historically low rates and enter the market now or wait for a downturn that may or may not come in the short run? Primary home buying is not always tied to finances as there many other reasons to purchase a home as well. 2017 looks to be another exciting year for Silicon Valley real estate. We wish you and your family a Happy New Year and we stand ready to assist with your real estate needs! Alan has been a Realtor in the Silicon Valley for over 13 years and in the technology industry for over 14 years. 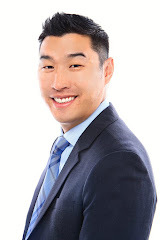 He is the Founder of the Alan Wang Realty Group within Keller Williams Realty. He is passionate about helping his clients understand the market direction in order for them to make the best possible strategic decisions on their real estate strategies and execution plans.